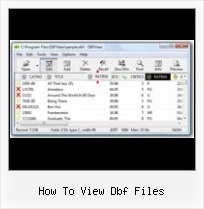 Convert Dbf Files : View, Edit, Convert DBF Files Convert Dbf Files Dbf File Viewer is a compact but powerful tool for opening, viewing, editing, converting and printing DBF databases. Dbf Editor : DBF Converter & DBF Viewer View dbf file, edit dbf file, and print dbf files! 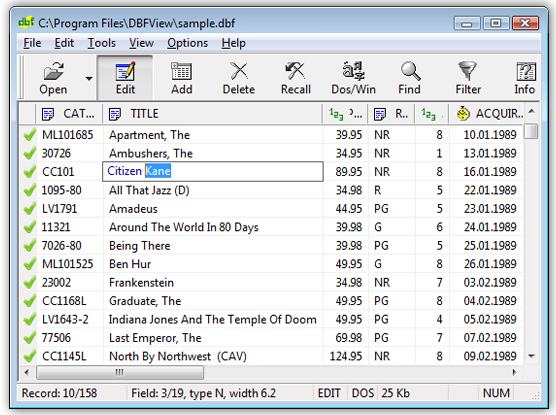 DBF Converter & DBF File Viewer is a compact but powerful tool for viewing, editing, and printing DBF-format databases. 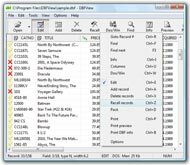 DBF Editor - View, edit and convert dbf files Advanced DBF Editor allows you open, view, edit and convert dbf files. Supports command line.